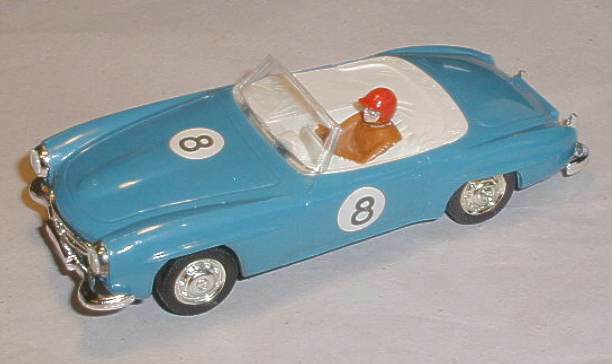 This Scalextric Mercedes 190SL model is complete and in excellent working condition. Thoroughly cleaned and serviced the Scalextric Mercedes 190SL is fitted with new pick up braids and rear tyres. The car has been track tested and runs extremely well with quiet smooth motor and gears. The RX motor operates well. This example is in excellent condition with all the parts present and correct. The body is in great condition. The all important new rear tyres are in good condition with plenty of grip. 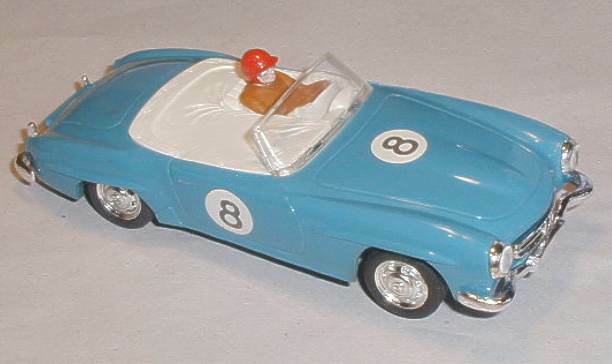 This wonderful rare Scalextric Mercedes 190SL model is a must for any serious collector and is ready to display or race and would add value to any collection.